Most North American colleges have programs that help students understand the harm done to victims of sexual violence and, if prosecuted, the potential consequences of their perpetrators. However, only a few programs also address those aspects of masculine culture that surround sexual assault. "Sexual Assault in Context" addresses the undesirable aspects of masculine culture that sustains the violation of women and girls. It examines several typically overlooked patterns of behavior that provide the basis for sexual assault and provides an overview of masculine psychological development as a context for sexual assault. The book also includes prevention strategies, information on funding and consultation issues, and additional resources for investigating further into male gender awareness and sexual assault. 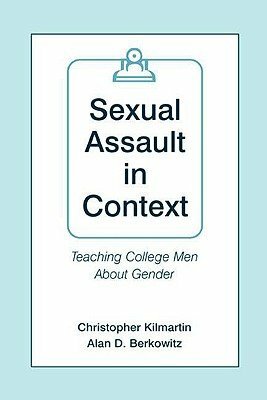 The text's hands-on, practical approach, helps counseling professionals negotiate educational, organizational, and logistical issues in helping college men understand the gendered context of sexual assault and harassment. This resource is intended to help reduce the incidence of sexual assault on college campuses, as well as help men gain a greater understanding of: cultural gender pressures; relationship skills; their impact on others; and the considerable influence male peer cultures have on how women are treated. "Sexual Assault in Context" provides an easy-to-read synopsis of male gender and sexual assault education strategies. It is intended as a resource for college counseling and/or violence prevention programs, and for those interested in understanding the psychological and social effects of the current culture of masculinity.